KAPE scholarship graduates who have found employment have the opportunity to share their experience, raise funds for social causes and help the next generation gain access to higher education and jobs. Through the KAPE Alumni Initiative, each year KAPE will continue to help alumni organize a celebration on Women’s Day. Join Us! All Cambodian graduate scholars with jobs are welcome to participate. Email Hem Mary at mary@kapkh.org for more information. Support Us! You can help poor and vulnerable Cambodian children gain access to higher education by making an online donation. 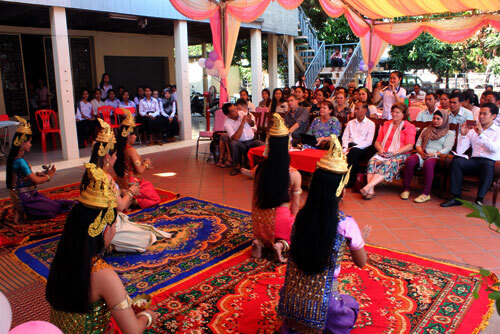 On Women’s Day 2015, 108 graduates (97 girls) majoring in accounting, management and teaching met in Kampong Cham. To-date, the Alumni Initiative has raised over US$700 to address social and education issues.